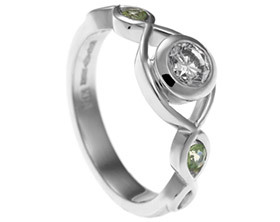 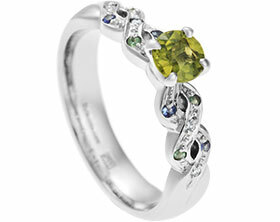 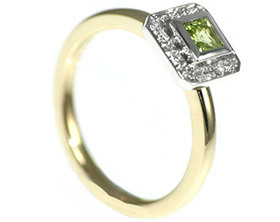 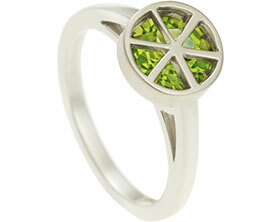 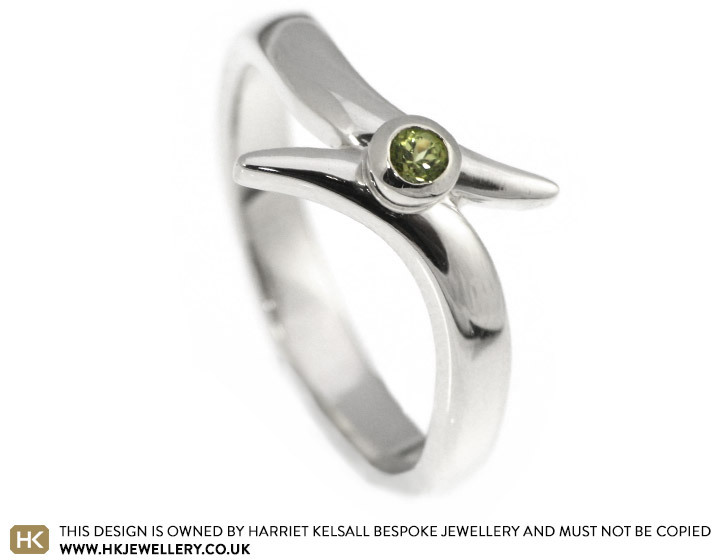 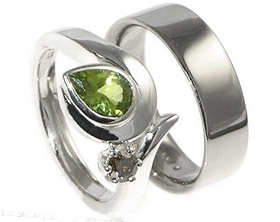 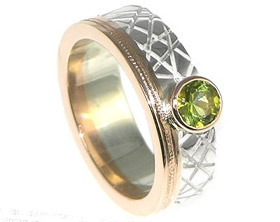 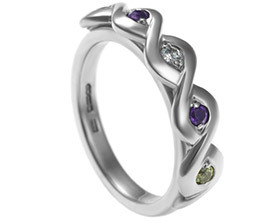 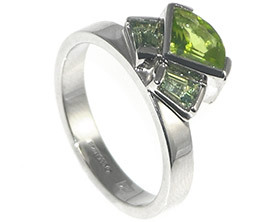 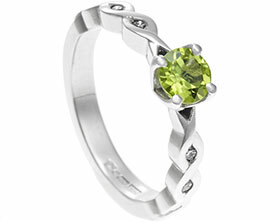 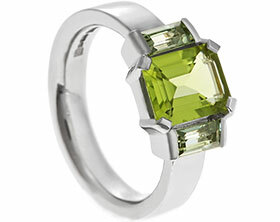 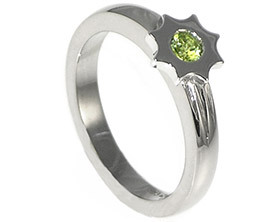 A unique 9ct white gold engagement ring with a 2.5mm (0.07ct) brilliant cut peridot all around set in a twist style design. 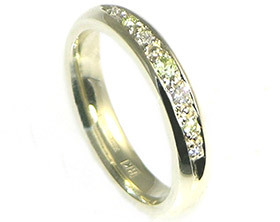 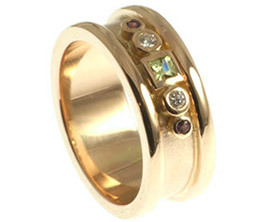 The 3mm wide band tapers towards the stone and has a gentle D shaped profile. 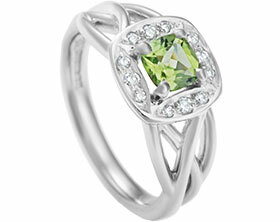 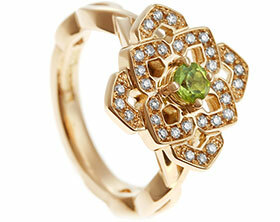 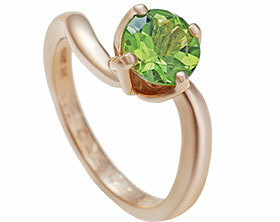 To finish the ring is polished to a high shine.